Illustration depicting how specific frequencies, or colors, of light (sharp peaks) emerge from the electronic background noise (blue) in NIST’s ultrafast electro-optic laser. The vertical backdrop shows how these colors combine to create an optical frequency comb, or “ruler” for light. 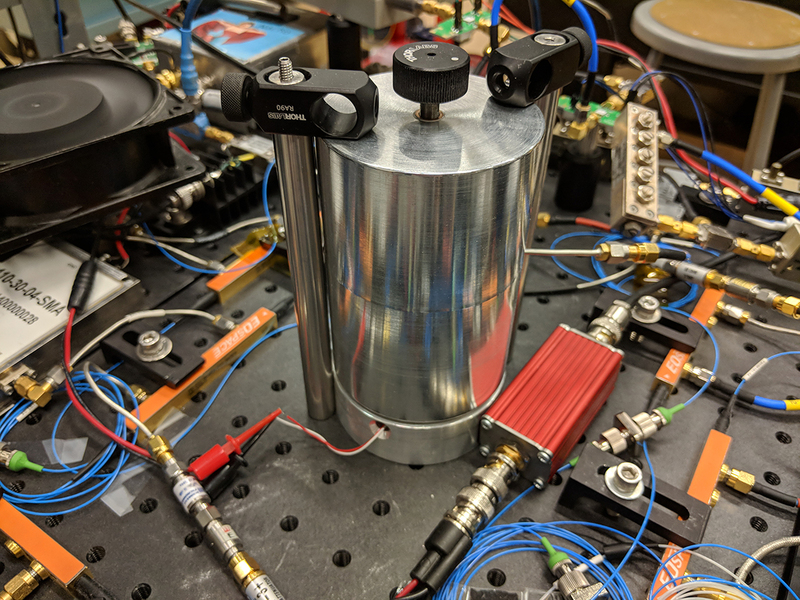 NIST’s ultrafast electro-optic laser relies on this aluminum “can” to stabilize and filter the electronic signals, which bounce back and forth inside until fixed waves emerge at the strongest frequencies and block or filter out other frequencies.